Despite the cold, wintery and wet weather we’ve been having in the UK, I hope reading Flowerona has brightened up your week! Monday and Tuesday were pretty much ‘stay at home days’ dealing with emails and writing blog posts. 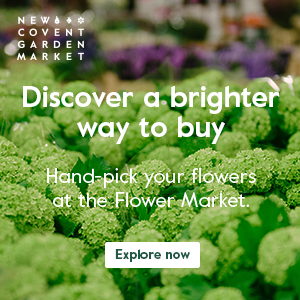 On Wednesday, I was up at 5.45am to go to New Covent Garden Flower Market for a meeting with Helen Evans, who is Head of Communications there. 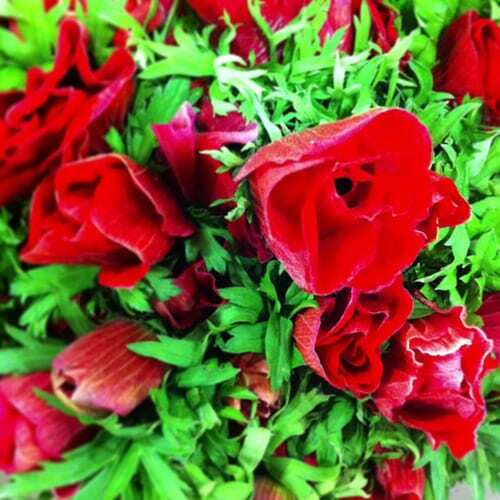 Then afterwards, I met up with florist, Liz from Blue Sky Flowers. 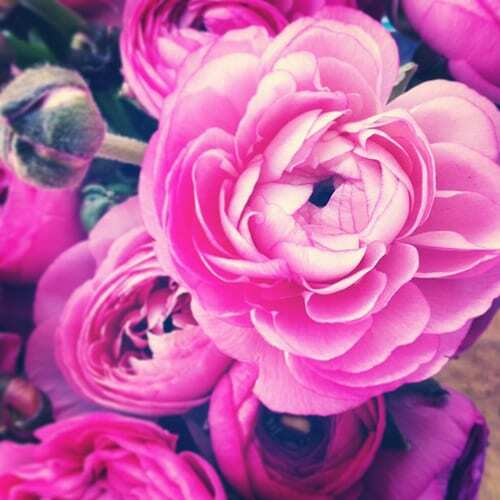 I also bought the stunning pale pink ranunculus (featured in the first image) from Bobby on the Alagar stand, who really made me chuckle when I asked if it was ok to take some photos on my iPhone! Also popped over to Bloomfield‘s stand and took some shots there to put on Twitter via Instagram, before buying Fusion Flowers magazine at Something Special. I just love the atmosphere at the market…the traders, even having got up way before the crack of dawn, were all so friendly and helpful. Thursday and Friday were mainly ‘stay at home’ days again, working on the computer. 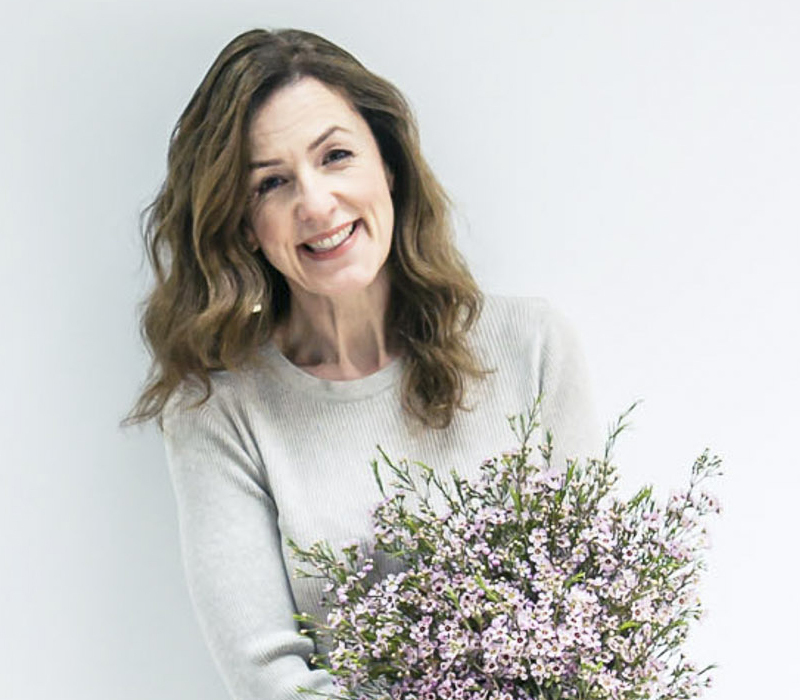 The most popular blog post this week was the same as last week….’Beautiful Christmas arrangements from Jane Packer Delivered‘ from last year! 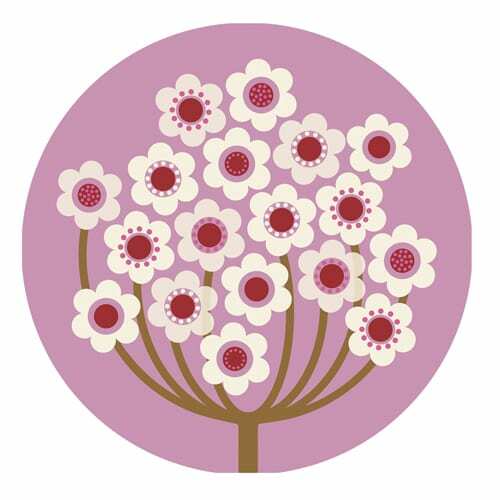 On the Heart Home blog, I featured ‘Jenny Duff Tableware…with floral designs from Gillian Blease’. 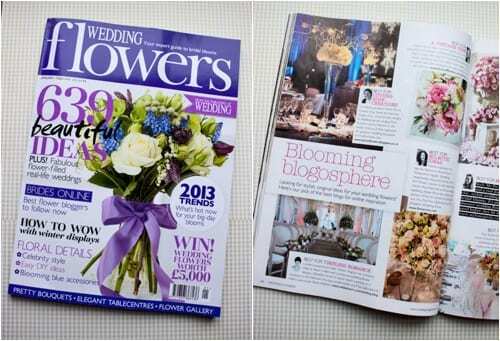 I was delighted to see my first feature appear in the new January/February 2013 issue of Wedding Flowers magazine. 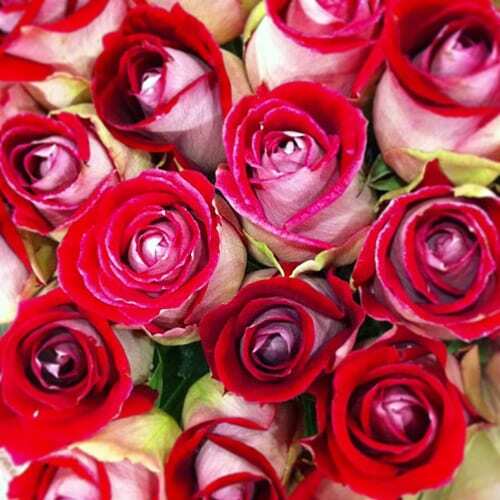 It features blogs which are wonderful for wedding flowers inspiration. In the January 2013 issue of Perfect Wedding magazine, I’ve written a feature about the best bouquets to suit your dress style. P.S. 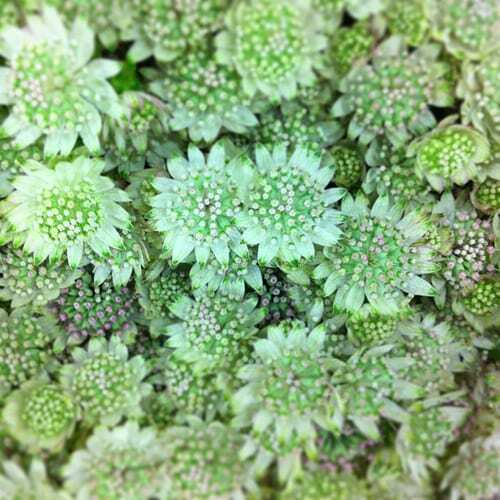 Don’t forget that you have just until tomorrow evening to take part in the Flowerona Survey!